Once you have registered for the ICPIC 2015 Conference at UBC, you will need to find out if you need a visa to enter Canada. If you do not need a visa to enter Canada, you may still need to meet some specific requirements. If you do need a visa, find out how to apply. 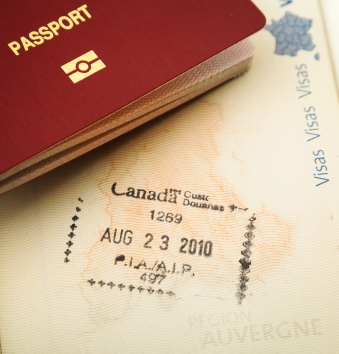 Canada’s offices abroad include embassies, consulates, high commissions and trade offices that may be a useful resources when applying for visas. It is up to you as a conference registrant to ensure you obtain a Visa Support Letter from us, should you need one, and to obtain a visa in time to attend the conference. International registrants should be particularly aware and careful about visa requirements, and should plan travel well in advance. Please be aware that visa processing times can take up to 12 weeks. The University of British Columbia does not issue formal invitation letters or actual visas to attend the conference, however, can issue Visa Support Letters for the application. Details on accommodation and living expenses. The date you intend to leave Canada. Please note Visa Support Letters are issued via email by PDF and the original is mailed to your current postal address within approximately one week after the information is sent.